the resolution with larger size . Because of the aspect ratio of the original image versus the ratio of the paper. You can't fit a 35mm full frame on an 8x10 but you could on an 8x12. If the lab doesn't use 8x12 paper, you crop OR you go next size up so the 12 inches fit without cropping. WOW!!! I have a DSLR canon 30 D not full frame. I thought that most photo center would resize automatically. If the average Joe wants a 4X6 and a 8X10 and doest own a computer at all, how is he goig to do? 1. You can find free image processing software on the internet that can crop etc. learn what aspect ratio means and how it applies to photo printing and paper size. learn how to size your images. 2. Send your file to the printer and get what you get. It's not a resize issue, it's a proportion issue. Sure, you could size the 8x12 down such that the long axis would be 10 inches to fit on 8x10 paper. But the short axis would be reduced as well. Just like when you watch HD TV and depending on the source, you either have black bars top and bottom or you don't. Excuse my ignorance but how did we do 10 years ago while using 35mm camera? Whenever I asked for 4X6 or 8X10 I always got my pictures without any cropping done? 3 years ago I took 100's of pictures and gave them to a friend who printed them 4X6 but the quality was really louzy is it also because it should have been proccessed first? I have a old photoshop 7 , picassa 3 and my Canon processing software where do go to fix the proportion issue. Absolutely nothing has changed. 10 (20) years ago, if you had a 35mm film frame and wanted FULL FRAME on a print, you had to either use 8x12 paper to match the ratio, crop the sides to fit 8x10 OR end up with boarders top and bottom. The physics of fitting the image onto paper hasn't changed a lick since then. I see. So how do you shoot yourself when thinking of printing later? Do you leave some space around your subject or you dont care because the editing software wil deal with that later? Depends but I usually shoot to the frame and crop later if the image warrants it OR if I want full frame, I just use the appropriate paper or just live with non image area top and bottom. Do some simple math and this will explain itself to you. If you double 4", you get 8". If you likewise double 6" you get..... 12". Not 10". You've never been able to order an 8x10 from 35mm film and not crop part of the image. Simply not possible. You are right I kind of remember now its has been so long. Ziggy thanks for that. I've always understood the ratios but have been trying to think of the best comprimises as to printing to fit the commonly available (ie most affordable) framing. On a many shots I want to keep my 6x4 ratio but I'm on a budget and don't want to crop for the more commonly available 8x10 frames. Your digital mat is an elegant solution. I've played around with it and it seems workable. Thanks for that. An other alternative is to buy 11X14 frames, print your image at 6X9. Buy or cut a mat with 11X14 outside dimensions and 6X9 inside dimensions. This will give you an even 2.5" on each side of the image. You can buy all you need from Frame Destination. 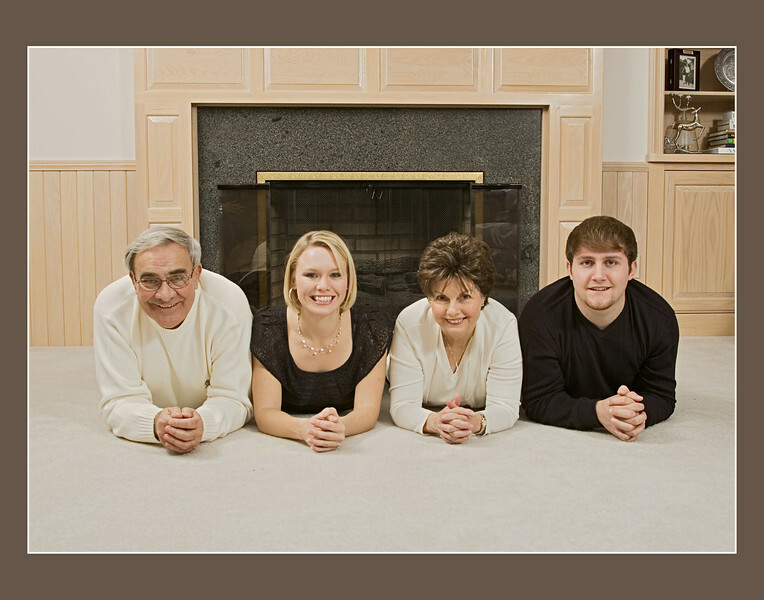 Another option is use anothernprint service that will crop photos for you.